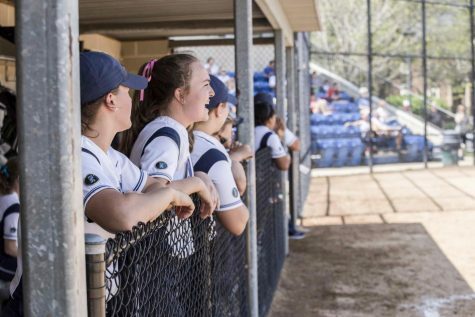 Softball gifted its departing fourth-year players with a UAA-home victory over Washington University in St. Louis, with each of the graduating players playing their hearts out. 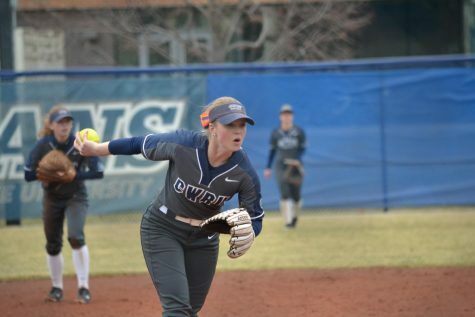 Emotions were high, but the Case Western Reserve University softball team still managed to secure a series win against Washington University in St. Louis (WashU) on Senior Weekend for the Spartans. 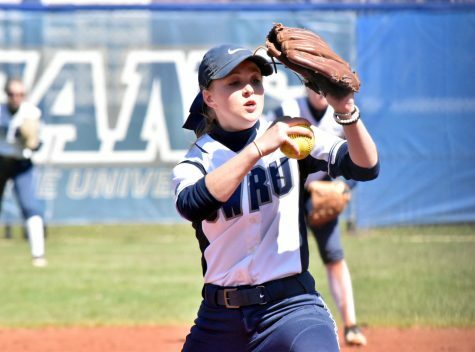 On April 20 and 21, CWRU hosted WashU and celebrated four fourth-year players who showed extreme dedication to the softball program: Katie Dzierwa, Grace Tritchler, Maren Waldner and Katie Wede. In their final four-game series at Mather Park, the team did not disappoint. The Spartans beat arch-rival WashU in three of four games, including one by run-rule. In a battle of stellar pitchers in the first game of the series, second-year pitcher Ilissa Hamilton dominated on the mound and earned a 2-1 win. Hamilton pitched seven innings and held her opponents to two hits and one run while striking out 10. Waldner tied the game at one in the bottom of the third inning, but that was the end of the scoring until the sixth inning. Then, second-year designated player Nicole Carty stepped to the plate and rocketed a shot to right field, scoring first-year third baseman Sarah Miller for the go-ahead run that would ultimately win the game. In the second game of the day, the bats came alive for the Spartans. 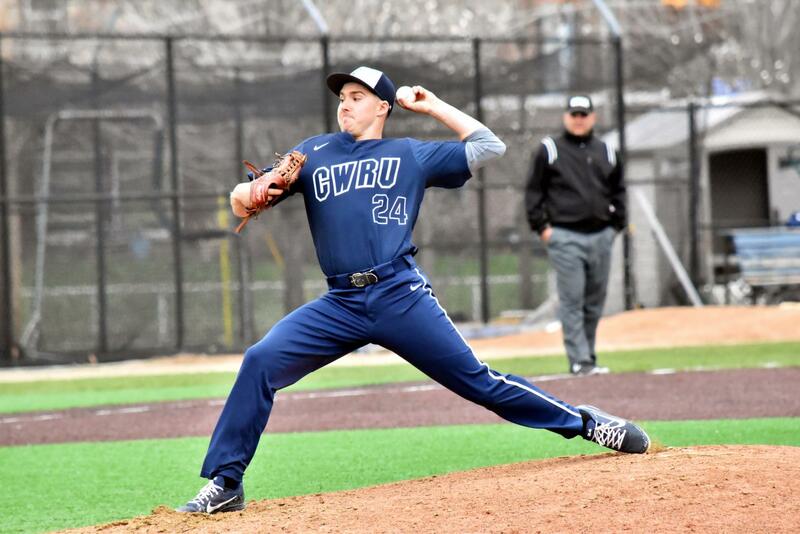 CWRU opened up with a 4-0 lead in the first inning and never looked back, winning 7-1. The fourth-year players performed exceptionally well in the game. Waldner went 2-4 with two RBIs and two runs scored. Wede had a hit and a stolen base. Tritchler went 2-2 with a RBI, while Dzierwa closed out the game in the seventh inning to secure the win. First-year pitcher Sidney Brannam started the game, pitched six innings and only gave up one run to earn her 11th win of the year. The next day, the team celebrated Senior Day. Wede said the team provided them with scrapbooks, handmade blankets and flowers, as well as fat-heads, life-like wall decorations. As part of the celebration, it seems demolishing WashU was on the agenda. The Spartans won the first game of the day 11-3 in six innings, managing 13 hits on the WashU pitchers. Hamilton went the distance in her start, allowing three runs and throwing 11 strikeouts for her tenth win of the season. Wede got two hits and stole two bases, along with a RBI. Tritchler also hit twice and had a RBI. Waldner, however, had one of her best games of the season, going 3-4 with two RBIs and a home run. The final game of the series did not fare as well. The Spartans lost 3-0, with all three runs coming in the last two innings. However, the result did not take away from the success of the weekend as a whole. After their successful weekend, the team also won two games at the University of Mount Union, along with a 3-1 win and 12-5 win at home against John Carroll University. At this point in the season, the team sits at 27-8. Their goal is to get to 30 wins, according to Henry. The team will look to close out the season strong, and hopes to earn a bid to the Regional Tournament. With a few more games to go, Waldner is ranked No. 26 in the nation in batting average at .508. 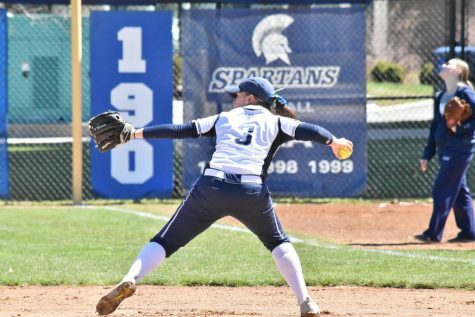 If she can maintain that average, it would also be the best in school history, and the first time a Spartan softball player had an average above .500 for a season. Additionally, she is closing in on the season record for hits, 64. She currently has 61. Tritchler will finish in the top three for total career home runs at CWRU, and could possibly move into second place. On Wednesday, Wede broke the stolen bases all-time record for CWRU with 66 career steals and counting, and Dzierwa will finish second in total career saves. Obviously, this class will have its name all over the record books for the Spartans’ softball team. Henry raved about every single one of her graduating players. Waldner, she said, has been a steady hitter her whole career, but stepped up this year. 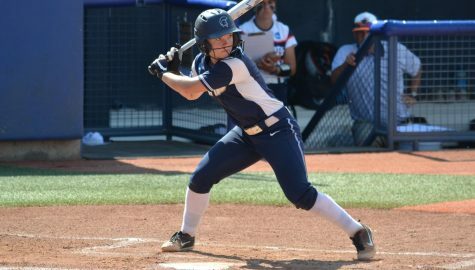 After injuring her shoulder heading into this year, Wede switched from a right-handed hitter to a left-handed hitter and is going to set the school record in steals. Tritchler has been a force at the plate consistently and also improved her defense. Dzierwa, while not receiving the playing time she probably would like, has been a tremendous leader off the field, especially aiding in the success of young pitchers Hamilton and Brannam with her experience. While the program will miss a tremendous group of women, they will miss the program just as much.